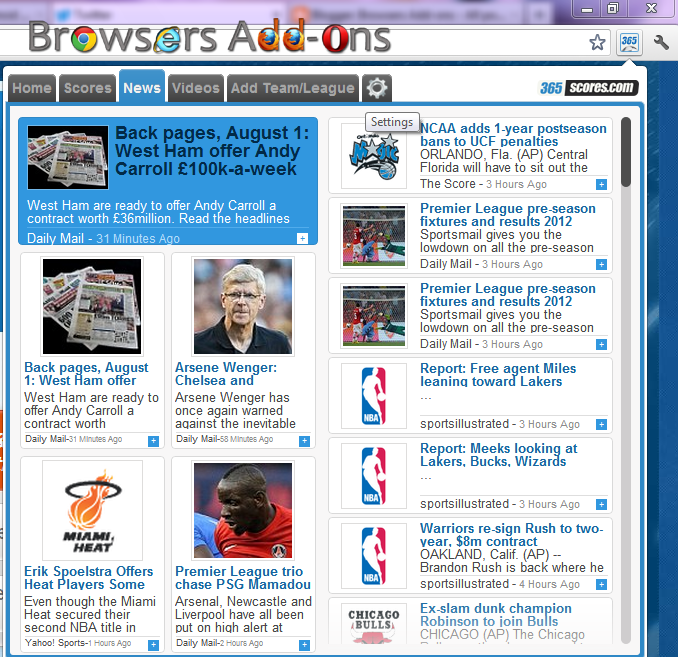 365Scores Notifier extension for Google Chome will feed your Sports news, scores hunger. 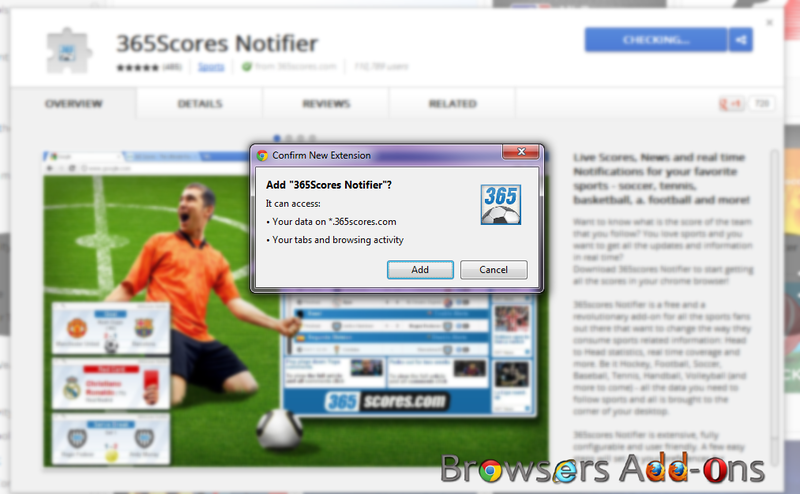 365Scores Notifier is an extension for Google Chrome which alerts you with sports information. You get notifications for your favorite sports, 365Scores mostly focus on Soccer (football), Basketball and others. 365scores Notifier lets you know your favorite teams latest statistics, real time coverage and much more. The best thing about this extension is you even get notified by sounds depending on the event occurred. 1. Go to Chrome web store an search for 365scores notifier, or simple click on the above download link and click on “ADD TO CHROME“. 3. Now, 365scores icon with message pop up appears at right upper corner of browser, indicating that the extension has successfully integrated with the Chrome. 1. 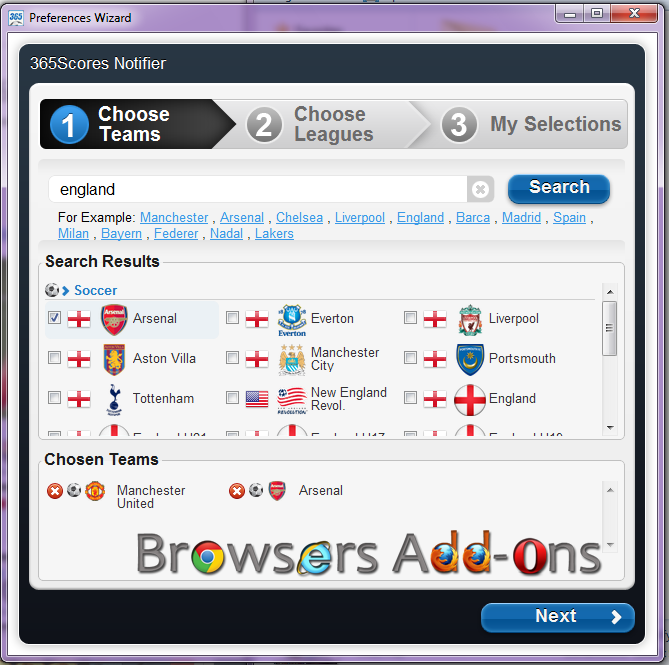 After successful installing the extension, a 365Scores preference wizard pops-up. Its a three step configuration. 2. Step 1: Choose your favorite team, it may be football, basketball, handball or other. 3. Step 2: Choose the League(s) which you want to be notified. 4. 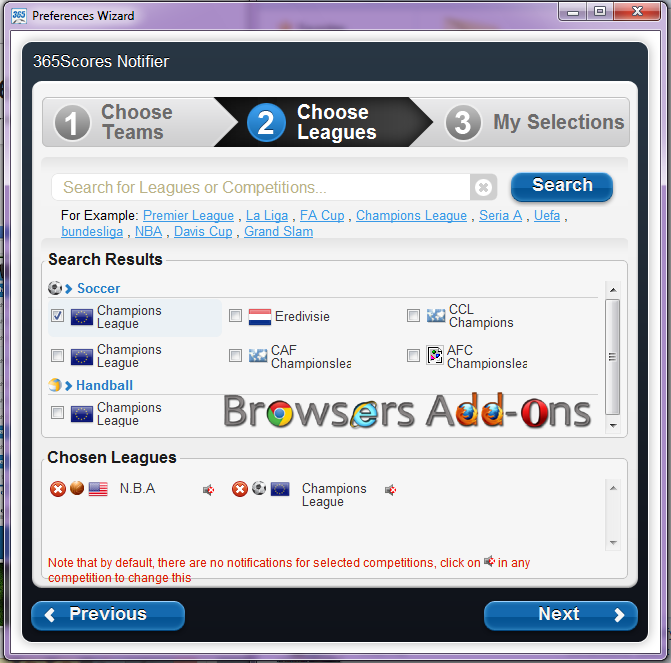 Step 3: Now, the final step shows you the teams and leagues you have subscribed for, even in this step you can add more teams or leagues by click on “+ Add Team” or “+ Add League“. 5. Now, you are done with configuration, to view general feeds, news, videos, click on the 365 icon located at upper right corner of the chrome. 5. To configure settings (preferences), click on gear icon, situated at extreme left of the pop-up tab. 2. Now, un-tick the 365Scores Notifier to temporarily disable the extension. Click on the dustbin icon to remove the extension from Google Chrome. 3. Or, right click (RMB) on the extension icon, and click on the desired option. 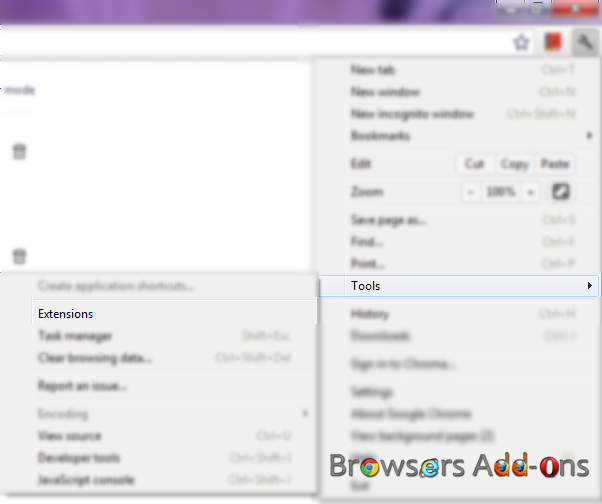 Highlight video on your web browser with Turn Off the Lights extension for Google Chrome. 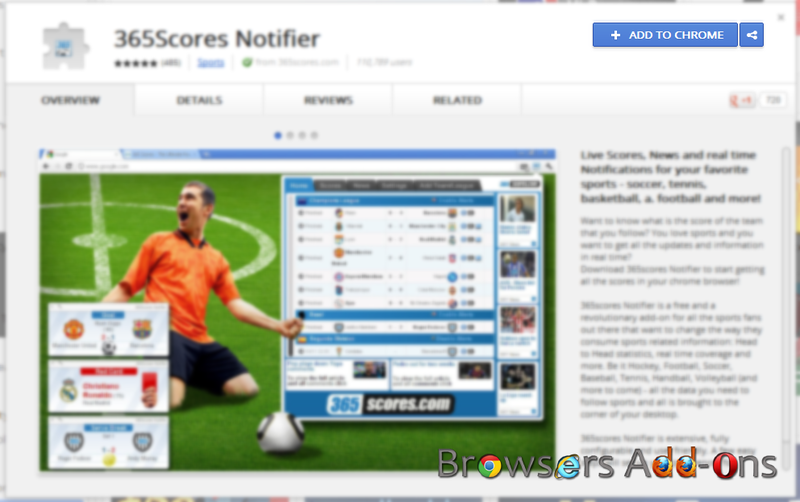 Next story 365Scores Notifier addon for Mozilla Firefox will feed your Sports news, scores hunger. Previous story Highlight video on your web browser with Turn Off the Lights extension for Internet Explorer (IE). Block annoying ads from Facebook with Facebook Adblock extension for Google Chrome.